What can you do to help Isabelle's Cause? We created this page due to a huge increase in the numbers of people wishing to help Isabelle's Cause. We suggest that monetary donations be made directly to Gift of Life. Donations can be made by going to Gift of Life's Donation page. Specify that you wish to make a donation in the name of a loved one or, if you so desire, in Isabelle's name. By supporting Gift of Life, you will be supporting several amazing programs in the Kansas City area, including the Life Savers and Life Mentors programs. You can read about these programs on the Gift of Life website. 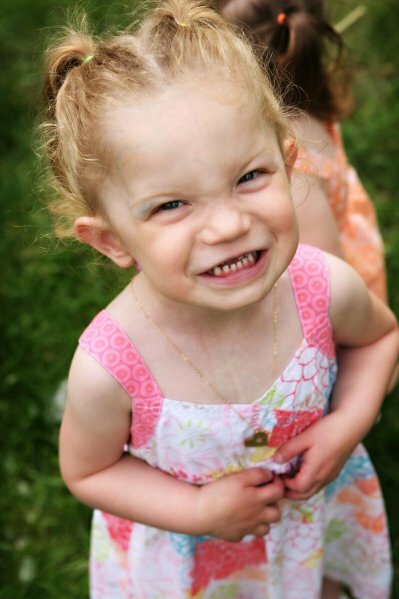 During Isabelle's battle with heart failure she was a member of the Children's Organ Transplant Association. If you'd like to know how you can help other children who are in dire need of assistance with their transplant, please contact COTA. There are so many children out there who need help with the enormous financial burden of organ transplantation. With the money raised through the memorial fund we plan to setup scholarship funds and contribute to community projects that help raise awareness about the importance of organ donation. We'll be updating this section with complete details soon.